Marguerite Daisy. 2016, acrylic on canvas. 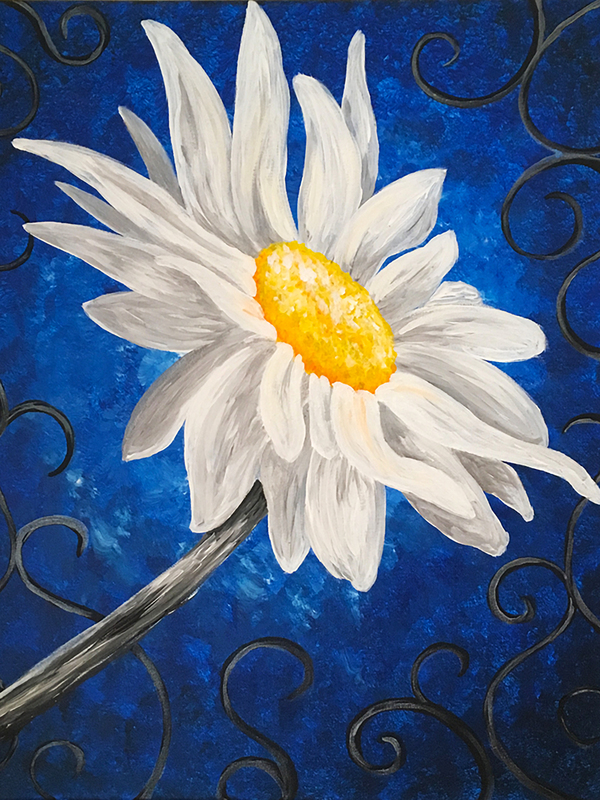 I painted this at a Paint and Sip with my P.E.O. chapter. P.E.O. International is an organization that raises scholarship funds for women; our symbol is a daisy.